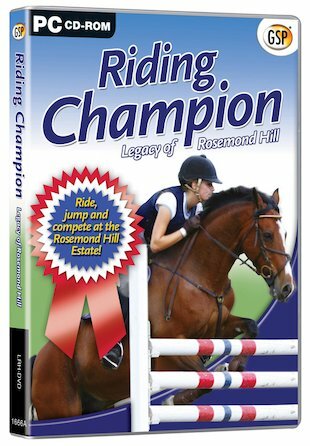 A fantastic CD-ROM riding simulation game for every horse lover! Come riding and jumping at the glorious Rosemond Hill Estate, where you’ll find 5 beautiful horses to train, ride and groom. Have you always dreamed of owning your own horse? When you receive an unexpected inheritance, your wish comes true! It’s up to you to make sure you and your horse become a winning team. Make new friends, groom and train your horse, and ride hard to bring home the blue ribbon!